With his release date imminent, Audie Palmer shocks all when he makes a prison escape just one day before he is due to walk out of prison a free man. This raises many questions with those inside the story, naturally, but as a reader this kind of situation grabs you from the get go; you have questions too. Sentenced to ten years in a prison for a crime he didn't commit - a notorious armoured van heist in which seven million dollars goes missing - Audie Palmer has endured more than most inside the confines of a prison, with attempts on his life being made more than once. It's easy to assume these death threats were made from criminals wanting a piece of the millions, but there is a lot more to Audie's story than some stolen money. Audie holds secrets, secrets that could ruin the lives of many high powered men, but he has one life on his mind, the life of a person he holds dear, a person he promised to take care of. It's because of this promise that Audie compromises his freedom by escaping a day before his release. 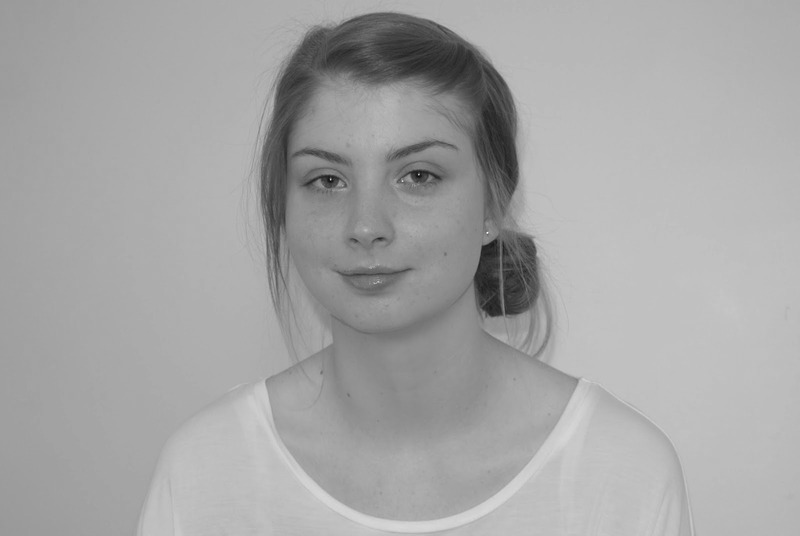 The story that takes place in Life or Death is well crafted with pieces of a puzzle being slotted together at the perfect pace. A lot goes in to the unfolding story, it is well layered, with the story being narrated in third person meaning the reader gets a glimpse of all that is going on. In this kind of book, a crime thriller, that is often the best story telling route to go down as we're on the edge of our seat wanting to shout at the characters through the page. This kind of narration was perfect for Life or Death; we are able to see Audie grappling through his escape, the police investigation that ensues, as well the FBI involvement. I don't really want to share too much more about the plot of Life or Death as it is the kind of book that needs to be experienced first hand, with minimal prior knowledge. I will say that I loved the character development of Audie throughout the book, and as a main character I felt a connection to him, as if I actually knew him. You can see he is a genuinely nice guy who wears his heart on his sleeve, but he also happens to be the kind of guy that the phrase 'being in the wrong place at the wrong time' rings true with. There is a love story that takes place in Life or Death, and I thought that was beautifully told in a believable manner - not always easily done with books of this genre. 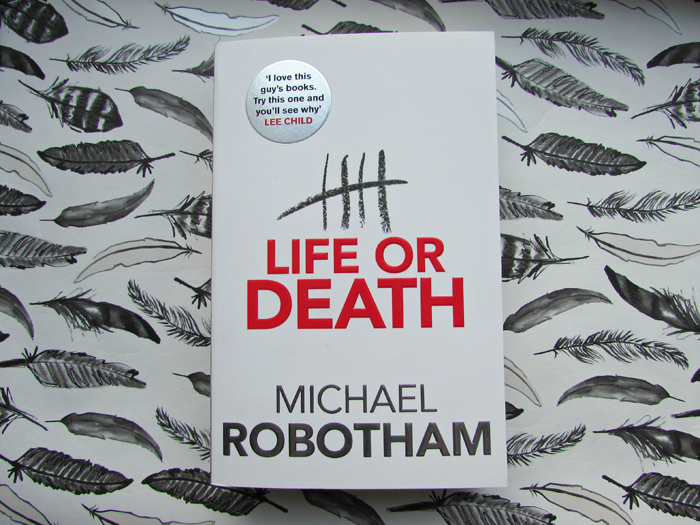 Sticking with the writing style, I really enjoyed discovering Michael Robotham's writing; it was gritty and gripping with the perfect amount of suspense. A lot of the time you have a rough idea of where the book is going, and you'd be right, but that isn't dragged out, the pace of suspense is perfect. I'll definitely be looking out for more of Michael Robotham's novels because this one proved to be a real page turner. If you follow me on Goodreads, you'll know that I rated this novel four stars and yet from all I've written it sounds more like a five star review. There's a simple reason for that - if Goodreads allowed for 4.5 ratings, Life or Death would be there, the only reasoning I'm marking it down a little is because this isn't the kind of book that can be re-read. I'm a big re-reader, and that is important to me in a book. I loved the story that took place in Life or Death, but the nature of it means once you've read it, it'll no longer have the same impact as the very first reading. Being somebody who loves crime fiction, I'd recommend Michael Robotham's writing to those of a similar bookish taste. I'm like that with the 4- and 5-star reviews too. I can adore a book, but if I wouldn't re-read it, I probably wouldn't give it a 5. And I go with the same scale as GR does, so 4 in my book is "I really liked it" which is what those great, but not re-readable books are for me. That sounds pretty much how I rate books too, Christine.